For years, our family has devoured the delicious and easy Pumpkin Bar recipe passed down from my mother-in-law. 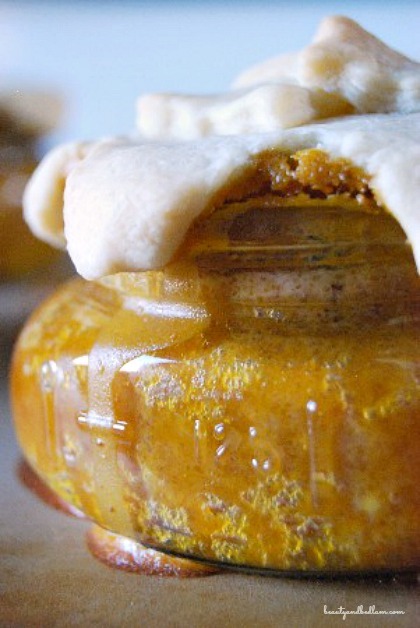 I know most people only bring out their pumpkin recipes during the fall, but honestly, these are some of my favorites and they should be heralded all year long. They are that good. Who says pumpkin’s a fall treat? 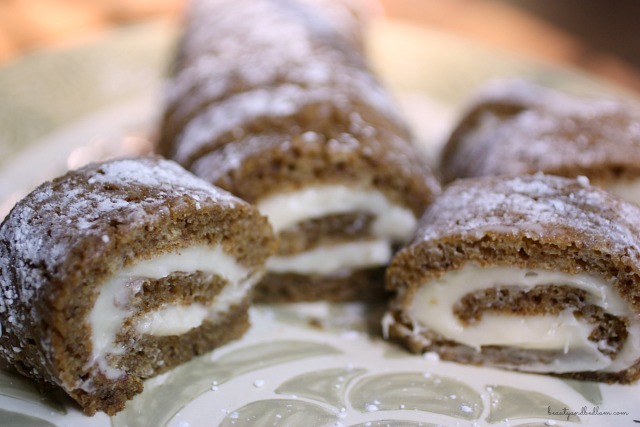 For years, I assumed that these beautiful Pumpkin Rolls were tedious and time consuming!! If you can make my Pumpkin Bar recipe, then you can tack on an extra sixty seconds and you’ll have this delicious delight. 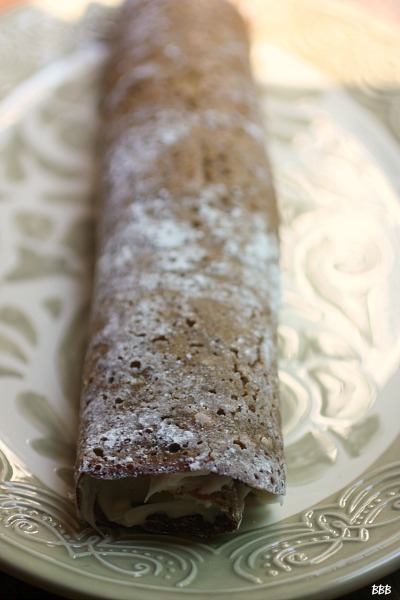 It’s basically making your favorite Pumpkin Bar recipe in a jelly roll pan, inverting it onto a towel dusted with delicious powdered sugar and rolling while still hot to easily bend the cake into shape. 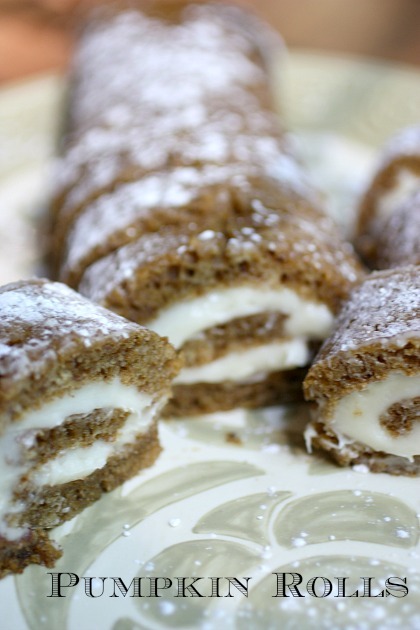 I whipped these up this easy Pumpkin Roll Recipe last week when my son came home for fall break. They were gone in a heartbeat! I took a tiny bit of a short cut because I felt lazy and instead of using the individual spices, I used my pre mixed pumpkin pie spice mix. That works well if you are in a pinch. You know that I’m all about short cuts. I also omitted the pecans this time because I knew my guys wouldn’t appreciate them nearly as much as I thought they should with the price per pound they cost and of course, they were delicious just like they were. So don’t delay. 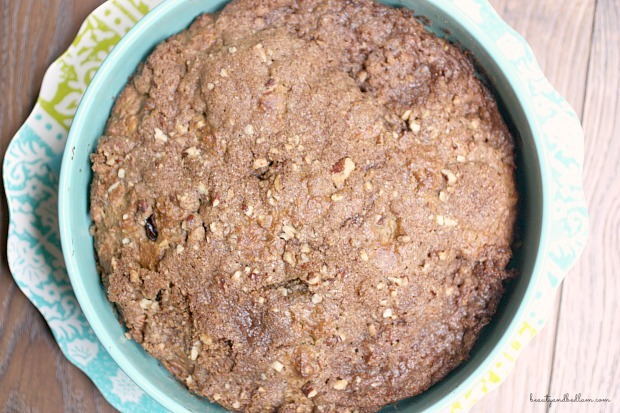 Get baking and enjoy this all time favorite treat! And because I can’t just stop at one of my favorite Pumpkin recipes, here are a few more you can’t miss (then onto the recipe). 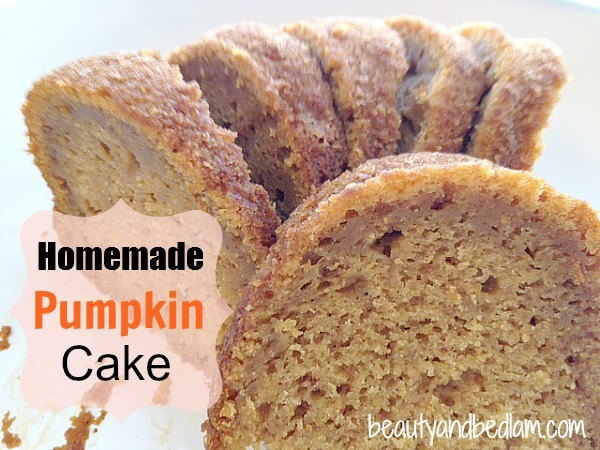 Homemade Pumpkin Cake with a secret ingredient that makes it over the top amazing. 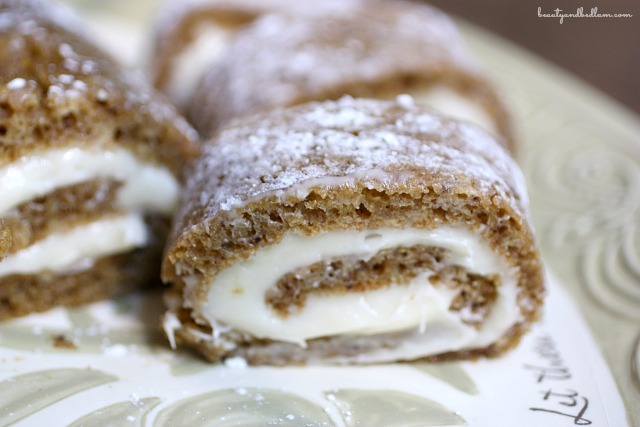 Summary: This delicious and easy pumpkin roll recipe is one of our favorite comfort foods. Add flour, sugar, pumpkin, spices, lemon juice, baking powder, and salt. Bake 15 minutes or until center springs back. Watch closely. If you haven’t used parchment, then loosen edges of cake with knife. Invert onto clean damp towel dusted with powdered sugar. Roll up cake in towel, starting with short end. 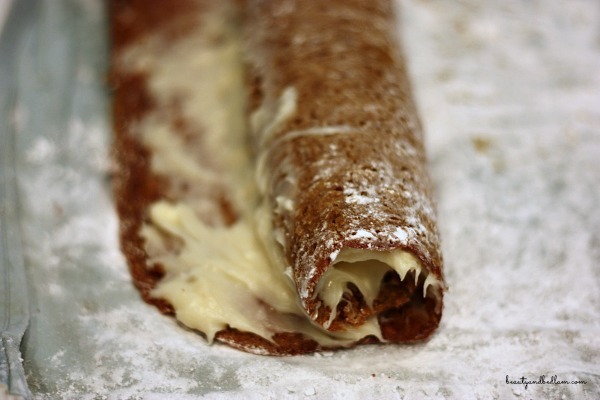 Unroll cake and spread with cream cheese filling. Discard towel and re-roll cake. Dust with powdered sugar and cover with plastic wrap. Put in fridge until ready to serve. Freezes well.